Staff from Martin-Kaye LLP Solicitors took a tasty break for elevenses to raise vital charity cash as part of this year's World's Biggest Coffee Morning. Organiser June Noto, who co-ordinated the efforts of everyone involved to bake the cakes for the legal practice's event, said: "We wanted to encourage as many people to donate to Macmillan Cancer Support as possible, so we created a whole host of treats for people to try. "Everyone has been incredibly generous and we're hoping to have raised a great amount for the appeal, which makes such a difference to people's lives. "At Martin-Kaye, we're always keen to support charities in the local area, and we felt that taking part in an event like this would be an excellent opportunity for staff to mingle and raise money for a good cause at the same time." The World's Biggest Coffee Morning is Macmillan Cancer Support's biggest fund raising event and it has been held since 1991. 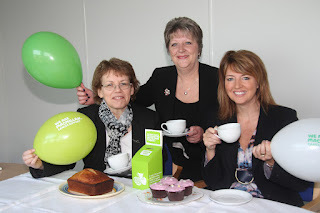 At the first national event, 2,600 people registered to hold coffee mornings across the country, and since then, the project has raised over £60 million for Macmillan Cancer Support. Last year 51,000 people signed up and raised a record £10 million. Organisers are hoping to raise even more this year, to help change the lives of people affected by cancer. Martin-Kaye LLP Solicitors has extended its partnership with a local IT provider to create a deal that's believed to be one of the industry's longest running contracts. We've signed up for another five years with e-know.net, taking our long-running partnership to 15 years. 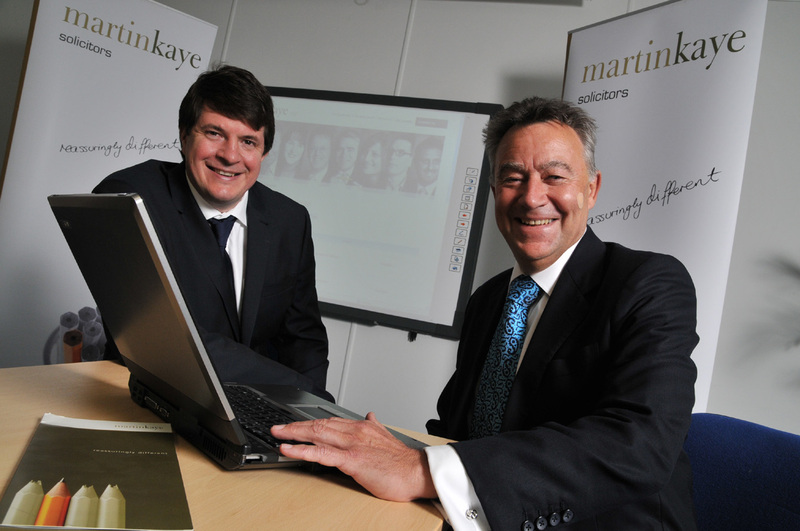 Our senior partner, Graham Davies, said: "At Martin-Kaye, we were early pioneers of outsourced or fully managed IT provision, and we have now enjoyed ten years of consistent IT delivery from e-know.net. Their service has always been flexible and offers us cutting-edge technology, data security, a high degree of business continuity and responsive support. "A decade on, we're as committed as ever to the concept of IT outsourcing, as it allows us to concentrate on our core business of supplying legal services without having to worry about how those services will be delivered and supported technically. "It's a partnership that has already brought many benefits to our practice and we're looking forward to continuing our association with e-know.net in the years to come." Nigel Redwood, e-know.net's managing director said: "We believe this may mark one of the longest, if not the longest, of this type of outsourced arrangement in the legal sector. Where Martin-Kaye led, many have now followed, but Martin-Kaye will always stand out as a pioneer. "Our long-standing relationship has been instrumental in proving to many people the validity and efficiency of managed services as an alternative IT delivery method for legal companies. "It has truly been a backbone to our success in the sector, so here's to the next ten years." Young professionals from across the Midlands are being invited to attend a conference that could change the course of their career. The event is being organised by the Shropshire and Mid Wales branch of the Chartered Institute of Legal Executives (CILEx) and is open to anyone training for a future in the legal profession. It will be held at the offices of Martin-Kaye LLP Solicitors, in Euston Way, Telford, on Wednesday October 17, from 5.15pm to 7.15pm. Branch vice-chairman, Sophie Davies, who works for Martin-Kaye, said the aim of the conference was to give an insight into how becoming a member of CILEx could help shape a legal career. "We have many legal executives in our firm who have gone through, or who are going through the CILEx training route, and we wanted to give other young professionals the chance to find out more about what it covers. "The conference is a free Continuing Professional Development event and topics will include how to draft the perfect CV, interview techniques, how to become a judge, and how to become a CILEx partner or advocate." Guest speakers on the day will include CILEx president Nick Hanning, and Hugh Anton-Stephens - a notary public and mental health tribunal judge. Delegates will also be welcomed by Martin-Kaye LLP Solicitors' senior partner, Graham Davies. "We're very pleased to be hosting an event which is set to attract some of the most dynamic young minds who are the future of the legal world. It's a great opportunity for young professionals to find out more about the options available to them and how the right training can open up so many doors." 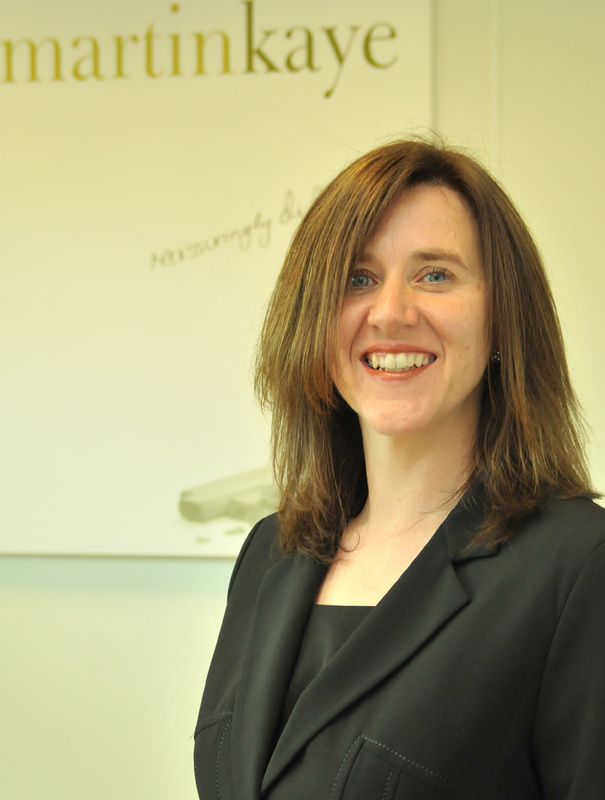 Our commercial property team is in safe hands after the appointment of a new solicitor. Clare Tierney is our new head of commercial property and she joins us after working for a leading commercial practice in north Staffordshire. "I was particularly impressed with Martin-Kaye's client-centred approach and the innovative way they handle commercial business so it was a simple choice to decide to join them," said Clare. "I'm looking forward to developing the team still further and building on the strong reputation the firm already enjoys across the local area and beyond." Senior partner, Graham Davies, said Clare's experience made her a great choice for the key role as the head of the commercial property team. "Our commercial property lawyers are a dynamic and forward-thinking group who pride themselves on the customer service they deliver, and Clare's leadership is set to carry them on to the next level." We handle a broad range of commercial property work from landlord and tenant portfolio management to complex development deals. We're one of the very few firms in the region to have such an excellent reputation all over the Midlands and the wider UK. 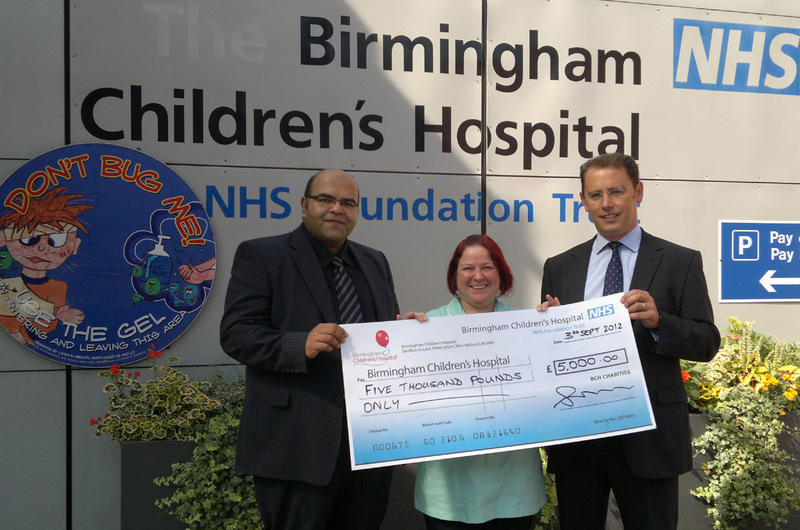 One of our lawyers took an unusual approach that has certainly paid off for Birmingham Children's Hospital. "But in a long and intense mediation session, I made one last attempt to resolve things and suggested our client would be prepared to pay £5,000 to a charity of the other side's choice in full and final settlement of the case," said Ahsan. 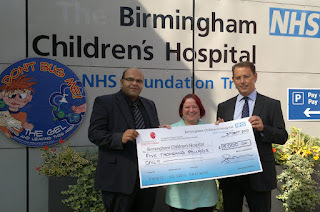 In a surprise twist, both companies accepted the deal and so Telford Copper Cylinders Limited has now donated the money to Birmingham Children's Hospital. "Both companies agreed there would be no payment of legal fees and once the charity had been paid, the case would be over. This way both parties were able to resolve the issue, and charity is the winner at the end of the day." Ahsan worked on the case with Paul Dean from St Philips barristers' chambers representing Telford Copper Cylinders in the Birmingham Technology and Construction Court.